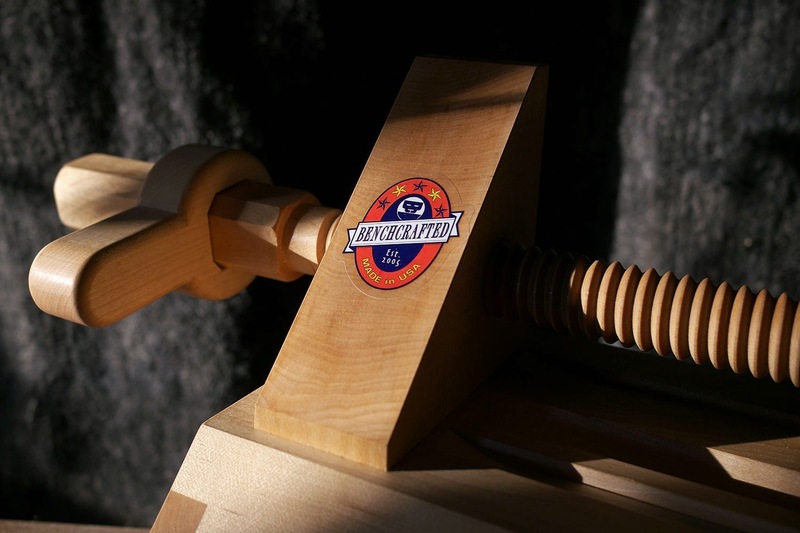 We've had a few requests for build plans for our Miter Jack. As a limited run item, we eschewed written plans for this build and instead posted blog entries detailing the build. You Don't Know Jack. Get To Know Jack. To see everything we've posted about the jack, click here. Clicking on "La Forge Royale Miter Jack" under categories on the right side of the blog will get you to the same place. I followed your build on this as it happened, but only recently decided to get my head around the whole thing by making it in sketchup. I've been going through the posts and checking the model, but I can't figure out one thing: I don't see the second set of runners (the ones on the fixed jaw) in the sketchup model, but they're obviously there, since you pared the ends of them in one post. Are they attached to the fixed jaw, then? And are they glued/fastened somehow, both to the jaw and the body? I don't see how the fixed jaw is actually fixed otherwise, but does that mean the half-miter jaw does not use runners? Forgive me if I'm missing something extremely obvious, and thanks for posting all of this--it's very cool, and your skill constantly astounds me. Thanks in advance for any help you can offer. Good catch. They are not in the exploded part of the model (the one with the red arrows) but they are in the assembled model. They are in the components list as "fixed jaw runner." Yes, glue the runners into the base, but not the fixed jaw in case you need to remove it for maintenance. The half-miter jaw is completely missing its runners. Sorry about that! I'll get the SU drawing updated today. Ah, I see now--I hadn't actually downloaded it, just used the web viewer, and I didn't notice the screw holes. Thank you, sir!